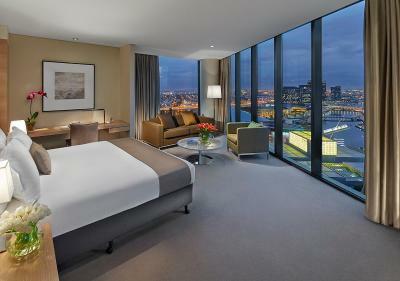 Lock in a great price for Crown Promenade Melbourne - rated 8.9 by recent guests. location was great! Pool is amazing and enjoyed the complimentary chocolates and wine thank you! Location is perfect Great facilities. 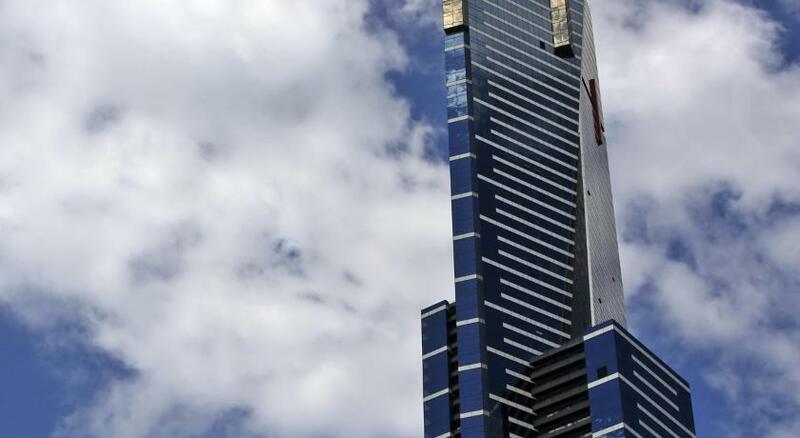 Easy access to crown casino. Great offer deals. 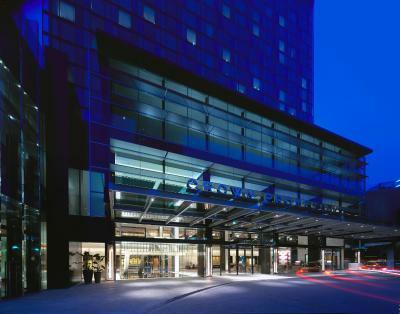 I was greated in a very friendly manner The evening reception staff was very helpful Security is great. Easy pick up for taxi or uber. 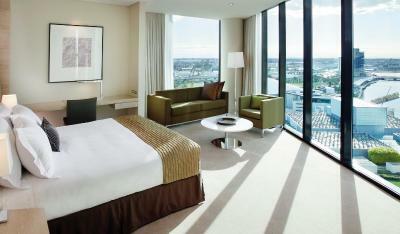 The staff were friendly and accommodating, and the view from our room was beautiful. We also received some coupons to use at the casino and a near by bar. Would stay again. 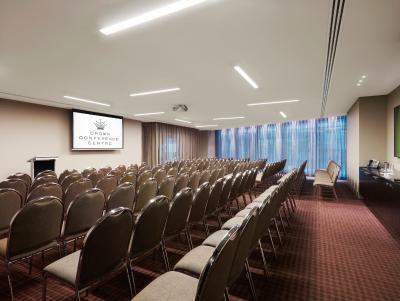 Crown Promenade Hotel offers spacious rooms with views of Port Phillip Bay or the city and Yarra River. 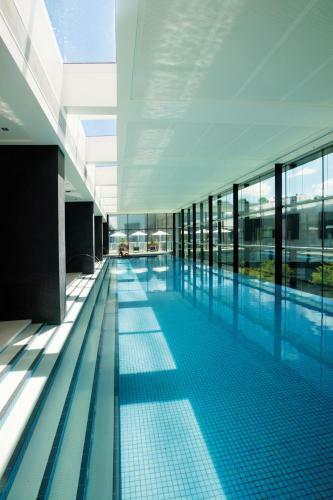 Guests have access to a restaurant, bar, indoor swimming pool and fitness centre. 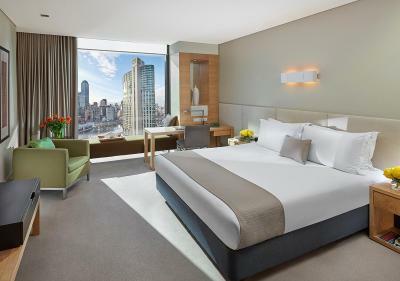 Each room at Crown Promenade Melbourne includes a luxury en suite bathroom, 42-inch flat-screen TV with cable channels and a minibar. High-speed Wi-Fi access is available. Guests can work out in the fully-equipped fitness centre or relax beside the indoor swimming pool with views of the city skyline. 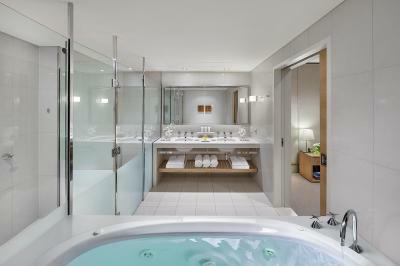 Steam rooms and a masseuse are also available. 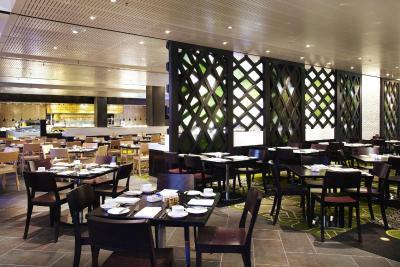 Mesh Restaurant offers stylish modern cuisine in elegant surroundings. Tonic Bar has an outdoor terrace and serves cocktails until late. 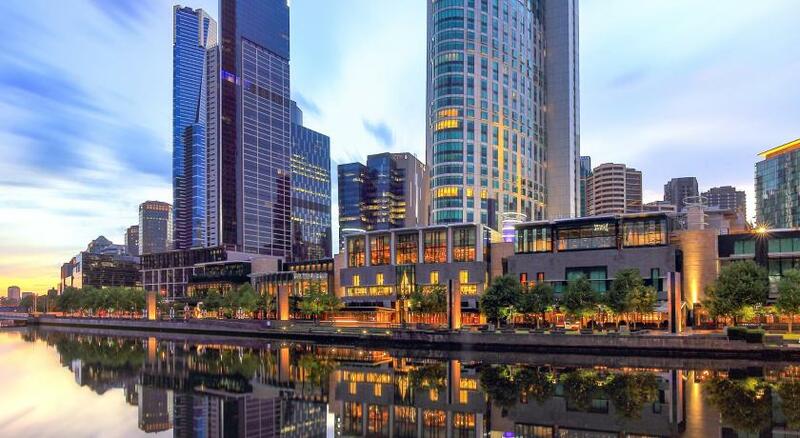 Located in Melbourne's vibrant Southbank entertainment precinct, Crown Promenade is directly linked to the Crown Casino and Entertainment Complex, offering world-class restaurants, bars and shopping. 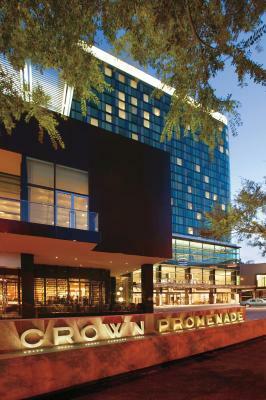 Crown Promenade Melbourne has been welcoming Booking.com guests since 8 Jul 2010. 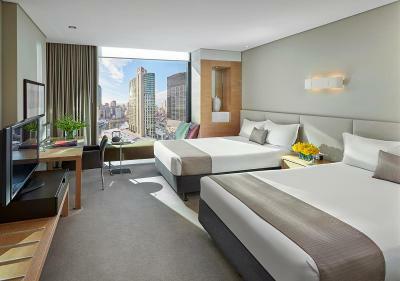 When would you like to stay at Crown Promenade Melbourne? 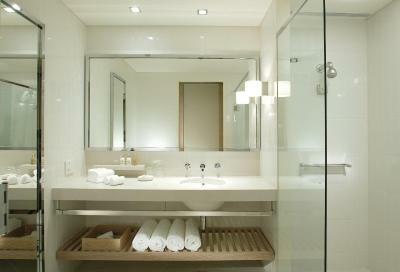 This air-conditioned room features flat-screen cable TV, a minibar and a tea and coffee maker. Public parking is possible on site (reservation is not needed) and costs AUD 42 per day. 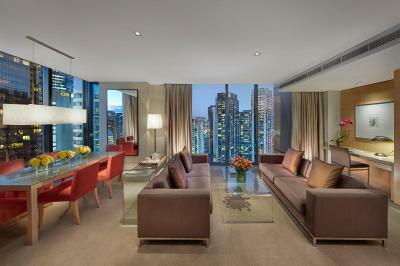 Features floor-to-ceiling windows with panoramic views of Melbourne city or the bay area. Spacious studio with ultra-modern décor, floor-to-ceiling windows with sweeping views, and en suite bathroom with large shower and natural light. Please note that the rate is based on 2 guests. Maximum capacity for an extra rollaway beds is 1. Charges are applicable. 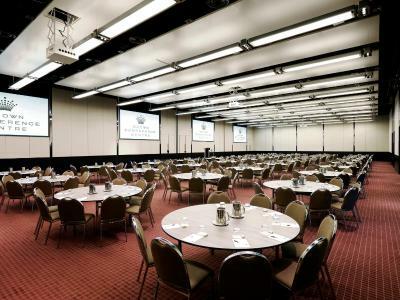 Includes breakfast for 2 and valet parking for 1 vehicle. 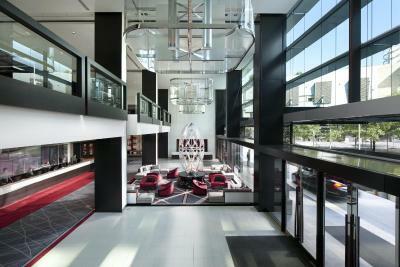 Hotel surroundings – This neighbourhood is a great choice for travellers interested in entertainment, atmosphere and city walks – Check location Excellent location - show map Guests loved walking around the neighbourhood! 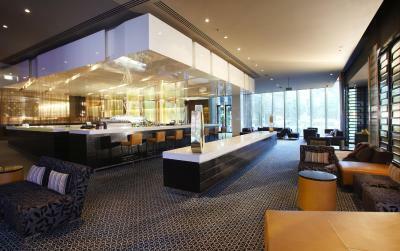 House rules Crown Promenade Melbourne takes special requests - add in the next step! Bankcard Crown Promenade Melbourne accepts these cards and reserves the right to temporarily hold an amount prior to arrival. 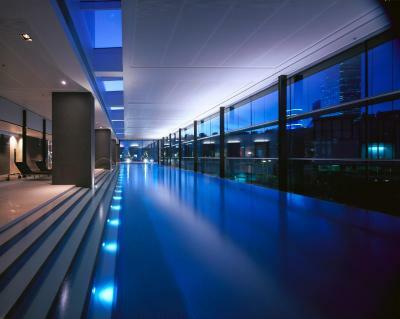 Crown Promenade Melbourne accepts these cards and reserves the right to temporarily hold an amount prior to arrival. Please note that full payment is required upon arrival. An additional $100 bond per night is also required. Please note that check in is only available for guests over 18 years of age. Guests under the age of 18 must be accompanied by a parent or an official guardian. You must show a valid photo ID and credit card upon check-in. This photo ID must be in the same name as the guest's name on the booking confirmation. 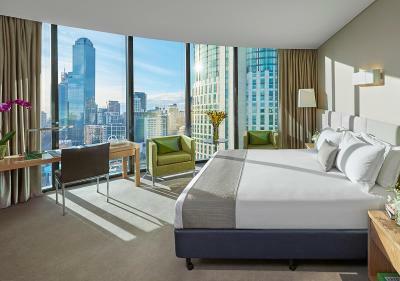 Please note that Crown Promenade Melbourne requires an AUD 100 credit card pre-authorisation or AUD 200 cash deposit upon check in to cover any incidental charges. The staff were very friendly and accommodated our requests. The facilities were nice and the restaurants on site were as expected. Can't think of anything. Actually a makeup mirror with lighting would be the icing on the cake. Our room was extremely dirty. Dirty bed head, dirty shower, chocolate wrappers everywhere, not enough towels and sticky stuff on furniture. Terrible experience for my husbands bday and no champagne was delivered upon request bc they forgot it!